So, you heard you need to be present on social media. At first, things were going pretty well. But then, they slowed down; and now, you have no idea what to post anymore. Worse yet, you forget to post, or no one on your team has the time or capacity to take it over. So your accounts just sit there, with no one monitoring them. Sound familiar? All too often, businesses try to jumpstart their social media marketing, but after just a few months, keeping up to date falls to the wayside. How can you ensure social media accounts stay active and engaged? Simple—through a social media strategy guide. Outlining a strategic plan will boost engagement on social media, make sure posting gets done and grow your network. Unsure where to start? We have you covered. A real guide offers an actual vision for your social media marketing and how you can grow. The first step to accomplishing this is to simply write it down. When you write down your plan, you can stick to it, rather than hoping to accomplish your goals along the way. Create a shared document for your team where members can add, edit and collaborate on your strategy in order to make it as effective as possible. 2. Audit your current presence. Get started by auditing your current presence online. For example, record what social media platforms your organization has an account through. How many followers do you currently have? How many average number of likes do you receive on posts? These are important questions to ask and record the answers to, because once you know where your personal or business presence starts, you will be able to establish more realistic goals for the future. 3. Establish your goals… and how to get there. Next up, clearly outline and establish the goals you have for social media. If you currently have 100 likes on Facebook, perhaps you want to reach 300 likes by next month. Whatever your goals, make sure they are S.M.A.R.T., Specific, Measurable, Attainable, Relevant and Time-Bound.When your goals are SMART and you clearly outline your plan on achieving them, you will be more likely to accomplish them and grow your social media presence. With your SMART goals, establish a timeline. Set an end date you want your major goals to be accomplished by… say, six months from now. With this day in mind, set up a timeline for the next six months with smaller, easier goals to accomplish which lead to your ultimate objective. Construct a weekly calendar your team can work from. Perhaps Mondays at 8:00 a.m., share a motivational quote across all your accounts. This serves as a “content calendar.” Once you have this to work from, coming up with ideas on what to consistently post becomes easier. Next up, choose the best social media scheduling tools. Perhaps you simply want to go into your accounts themselves and post. This can definitely be an option, but can become tedious when you constantly have to remember to “go to Facebook at this time on this day to share this post.” Instead, you can use online tools which link to your account and can schedule automatic posts out in advance. Some of these tools include apps like Hootsuite, Buffer and Sprout Social. Finally the last, but maybe most difficult, step: assigning the job to a team member. If you put your social media strategy together, but do not have anyone to make sure it goes into effect, then your chances of it actually being successful are extremely low. Be sure to assign one person or a team to the task of actually creating the social media content and scheduling it. This way, you can be confident your social media presence will be a consistent priority. 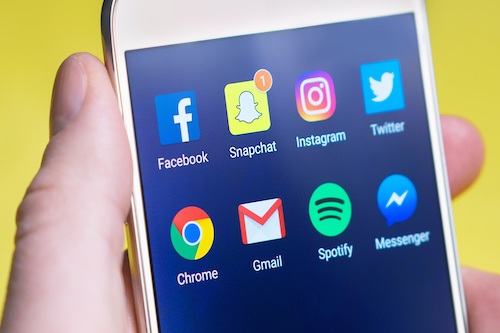 Social media marketing may seem like a daunting task to accomplish, but with enough planning, you can create a strong social media strategy guide to use in the implementation process. Try it out and watch as your social media presence strengthens and your network expands.